Below in this review, we will discuss everything you need to know about this jacket before getting your hand on the purchase page. Bergaffe outerwear is a lightweight jacket for travelers and outdoor adventurers. It designs to keep your body warm, dry and fresh for a long time. Bergaffe Outerwear comes with 2 main designs — Explorer Superior Primaloft® Jacket, and the Ultimate Active Sympatex® Jacket. 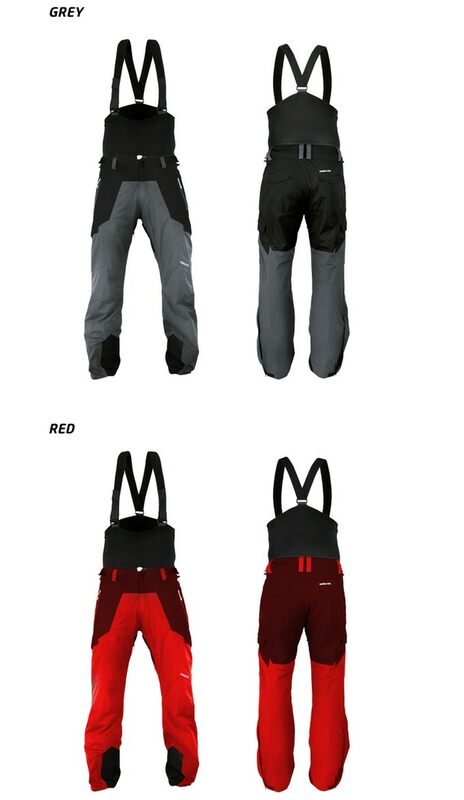 Both are designed for cool weather adventuring activity, such as skiing. Similar to this voice-controlled heated jacket, but without the technology implementation. Below is our thoughts on Bergaffe Outerwear, is this really worth buying? The Explorer Superior Primaloft® Jacket features a good heat isolation material by the Primaloft®, a patented synthetic microfiber. Primaloft® has a very soft texture yet it’s able to pack down the into a much smaller size. Mimicking the down, Primaloft® has the main benefit of high insensitivity in retaining the heat up to 96%. The more heat you can capture, the better survival chance you’ll have in the wild. Based on this principle, Primaloft®’s ultrafine microfiber has a special coating that to make sure it’s breathable yet wick away water droplets to keep your body warm. Explorer is wind and water resistant. It also comes with many useful features which including an inner pocket with earphone holder, reflective logo, elastic sleeve cuff, detachable storm cap, elbow & shoulder Sympatex® fabric, silver coating lining, and many hidden pockets. The Explorer Jacket is designed for the urban and casual traveler. Perfect for up to -10°C (32°F). The Ultimate Active Sympatex® Jacket is on the other end of the spectrum. This jacket provides maximum protection for wild travelers and hikers in the bittering cold weather. It is 100% waterproof and 100% windproof and is fully recyclable. To make sure your body heat is completely trapped in the last line of the jacket, all of the seams are taped. It gives a weather protection with more than 20.000mm water column. 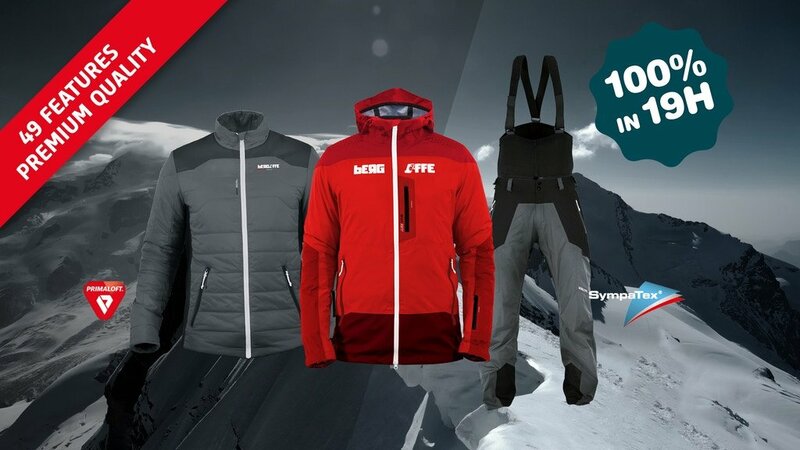 The Ultimate Jacket is made of 3 layers of Sympatex® fabrics for optimal thermal isolation. The Sympatex® is a special membrane where not only 100% waterproof, but also will absorb the water moisture and vapor from the inner layer of clothing and remove it outside. Trapping body heat is crucial in the extreme place, the Ultimate Jacket works best in the low temperature and high humidity places. 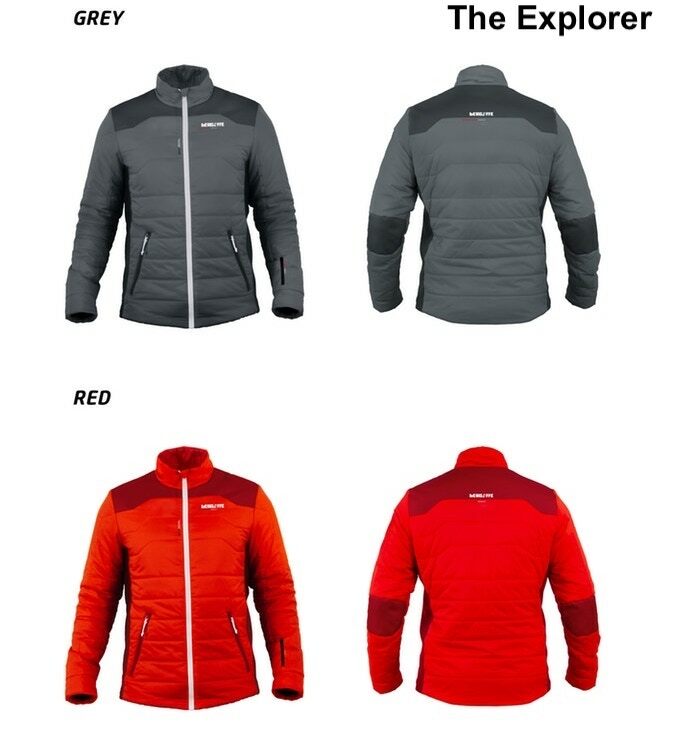 The Ultimate Active Sympatex® Jacket has many similar features of the Explorer Jacket. Perfect for up to -20°C (0°F). Very much similar to Sympatex® Jacket, they have one for the pant. The Sympatex® pant features an adjustable wrist, inner foot cuff, and an inner tight ventilation zipper. So does it worth a buy? It is a yes from us. Considering the quality and price, the Bergaffe Jacket is certainly great for adventure. Don’t decide just yet, to give you a general idea of how good are the similar competitors out in the market, we have selected one best competing jacket that is highly rated mountain jacket on Amazon. 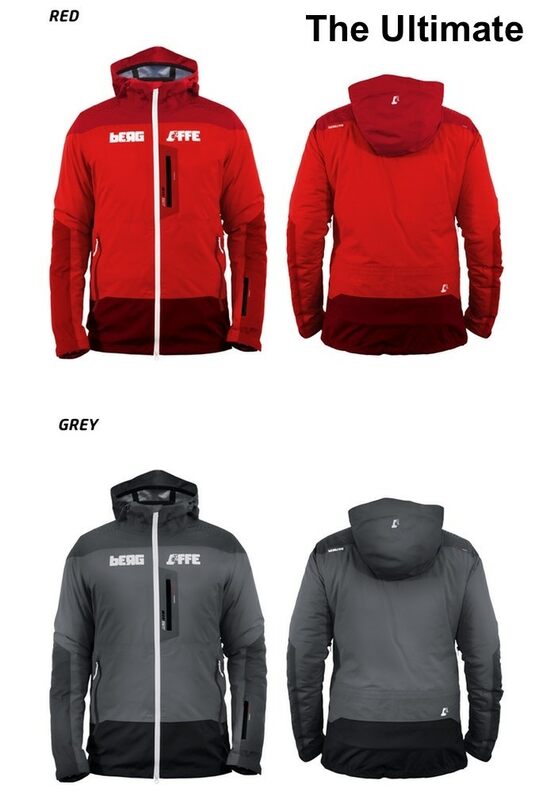 Two of the Bergaffe Jackets are available in two color — grey and red. By helping their campaign now, you can enjoy a staggering 63% discount rate via the green link below to the Kickstarter campaign. The price starts at only $116. This campaign (and offer) has ended on Jan 25 2018.